I have brooded over the idea of penning a piece on 'Class Actions in Nigeria' but always heckled by the choice of title that would captivate my target audience: consumers (individuals and groups alike) and their lawyers – the main players. Fortuitously, the wave-making judgement of the Lagos High Court in Fijabi Adebo Holdings Liited & Anor. v Nigerian bottling Company & Anor.Suit No. LD/13/2008 re-invigorated me into rethinking and re-aligning the idea to stimulate the prevalent mood of Nigerians towards the returns embedded in class actions especially towards seeking recompense over widespread consumer rights infringements. Although the Fijabi Adebo's case wasn't a class action, the eye-popping testimony of Abiodun Adebo Falana, NAFDAC's Head of central laboratory at pages 9 and 10 of the judgement further revealed the perennially continuous, conscious and deliberate assaults on the sensibilities of the Nigerian consumers in the pretentious form of goods and services which may not pass quality standards tests and/or end-users’ tolerance elsewhere in the World. Nigeria has over time, sadly become the dumping-ground of all sorts. Various manufacturers' default have been repeatedly and successfully redressed by class actions predominantly in United States of America, Canada, Australia and other parts of Europe where the procedure had gained widespread prominence, utility and understanding as a veritable tool for consumer rights advocacy, protection and compensation. Hence, it comes as no surprise, that hundreds of class actions are filed annually in the U.S. in almost every facet of their goods and services-delivery. A class action, simply put, is a suit filed by a party/parties for himself/themselves and on behalf of other unknown and/or unidentified persons who are termed “class members” against common Defendant(s) who has/have wronged the party/parties and members of his/their class. “A class action is a legal procedure which enables the claims (or part of the claims) of a number of persons against the same defendant to be determines in one suit. On a class action, on or more persons (the representative plaintiff) may sue on his or her own behalf and or on behalf of a number of other persons (the class) who have a claim to a remedy for the same or a similar alleged wrong to that alleged by the representative plaintiff and who have claims that share questions of law or fact in common with those of the representative plaintiff (common issues). Only the representative plaintiff is a party to the action. The class members are not usually identified as individual parties but are merely described. Although, the United States of America is widely touted as the home of class actions, history has it that the special procedure was actually 'imported' into Yankee from England were it originated in the 12th Century. This seemingly controversial part of history was written by Raymond B. Marcin, an Emeritus Profession of Law of the Columbus School of Law in his article “Searching for the Origin of Class Action” published in 1974 as part of the Catholic University of America, Washington D.C.’s scholarship repository (23, CATH U.L. REV. 515 (1974). In the article, Marcin, relayed the amusing facts of the most prominent of the earliest class actions filed in England – Brown v Vermuden 22 Eng. Rep. 796, 802 (Ch. 1676) where in Debyshire (a county in east midlands of England), the Vicar of Worselworth (Reverend Carrier who was later replaced by Reverend Brown) was distraught that mine owners were not paying tithes, he filed an action against the mine owners and workers claiming entitlement to one-tenth of the lead-ore output of the mines. The miners named four of their number to defend the suit but when the Vicar judgement was given in favour of the Vicar, Mr. Vermuden (one of the miners) intervened after the judgement and argued before the court that he ought not be bound by the judgement as he was not a party. The Chancellor however held that all the other mine owners and workers were bound by the outcome of the suit even though they were not individually named in the suit. However, Marcin doesn’t appear standing alone on this tract of history-writing, as his account on the origin of class actions was corroborated by Professor Stephen Yeazell (an American Professor of Law Emeritus) in his book published as far back as 1987 titled “From Medieval Group Litigation to the Modern Class Action” New Haven: Yale University Press. To a large extent, it seems scholars agree to a large extent that class action or its strong procedural pretences emanated from England but what seems unsettled is the year, it erupted: while some schools of thought posited 12th century others chose later centuries. For instance Marcin says the history of class action goes beyond the “pale of chancery itself to the misty era of the Eyres of thirteenth and fourteenth century” backing same with the fourteenth century petition of Hilgay v Wasnam 10 SELD. Society 44 (No. 41, Ch. 1399) (1896) and Discart v Otes, 30 SELD. Society 137 (No. 158, P.C. 1309) (1914). Coming back home, although, provisions on class actions have existed in the varying rules of court especially the Lagos High Court Civil Procedure Rules as far back as 1972 Rules (Order 13 Rule 15) the special procedure has not, to my mind, been adequately utilized by legal practitioners. (Reported) Class actions in Nigeria are few and far between. In fact, the writer is aware of only one reported Court of Appeal decision on the subject matter in the case of Gallaher Limited & Anor. v British American Tobacco Co. & Ors. (2015) 13 NWLR (Pt. 1476) 325 which was filed under the Federal High Court Civil Procedure Rules 2009 against infringement of patent/trademark. It may safely be said here that the origin of class actions in Nigeria is more traceable to the existence of procedural rules of court on the subject than to the filing and/or certification of the suit itself but without prejudice to the ones filed but not given adequate publicity and/or law reporting. So from the foregoing, if the origin of class action is traceable to law reporting in Nigeria, then we may say that if recently got its first appellate judicial upholding on the 19th day of December 2014 when the Ilorin division of the Court of Appeal in Gallaher’ s case made express pronouncement on class actions and when a court would made an order of appointment especially under the Federal High Court Rules. The suit alluded to above is Shell Petroleum Dev. Co. Nig. Ltd. v Edamkue & Ors. (2009) 14 NWLR (Pt. 1160) 1 – the propriety or otherwise of its allusion as a class action is not the purport of this write up. From procedural point of view, the confusion of representation actions with class actions seem the stagnating-devil of the latter as both practitioners and judges often juxtapose the two similar but distinct procedures. This confusion may however be explained away on the reality that there exists no separate substantive legislation on class actions in Nigerian where provisions for class actions are only found (side-by-side with representative actions) in the procedural rules of courts which often tie the procedure to the judicial discretion unlike in other jurisdictions of the World where justiciable rights to file class actions are guaranteed by substantive law. For instance, see the Class Action Fairness Act 2005 of the United States; Federal Court of Australia Act (Part IVA), Class Proceedings Act of Canada 1992. Class actions are similar to representative actions in that, they both have personally named parties representing groups but that seems the only string-attached as far as the two procedural rules of court are concerned. (Rep Action)May be brought on any cause of action with few exceptions. (Representatives are answerable to their members. As much as the rules of court are not particularly elaborate on the special procedure of class actions, we are of the respectful view that, frequent use and insistence by lawyers, on the special procedure would open up and enrich our case law on the subject thereby leading to fast and expedient development of the procedure together with its good to our legal and social systems. Sadly, there is not one reported decision on consumers’ class action in Nigeria despite rampant reported incidents of consumer rights violations in our country on a daily basis. Perhaps this is traceable to the disinclination of majority of public interest lawyers to take advantage of the procedural provisions in the rules of court since 1972 especially under the Lagos High Court (Civil Procedure) Rules. 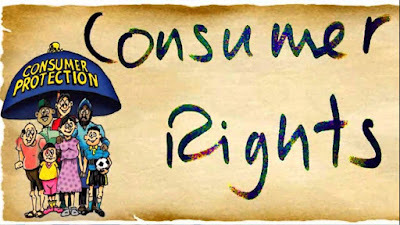 If the status quo of disinclination toward class actions changes, Consumers would also been inspired to insist on their rights and seek redress en bloc in the very likely event of violations by manufacturers and service providers on the one hand while manufacturers and service providers would also respect consumer rights by doing what is right at all times. Ultimately, our society, justice system and economy would be the biggest beneficiaries of the attendant effect of such boom in the number class actions, regardless of their success, in the dockets of our court. By Olumide Babalola, a Lagos-based consumer rights lawyer.